Venezuelan President Nicolas Maduro recently revealed that the nation’s oil-backed cryptocurrency, the petro, will be used as a unit of account by the state oil company PDVSA. The government is also developing a new salary system that will allow employees to receive their wages in petro funds over fiat. “As of next Monday, Venezuela will have a second accounting unit based on the price and value of the petro. It will be a second accounting unit of the republic and will begin operations as a mandatory accounting unit of our PDVSA oil industry,” Maduro announced. 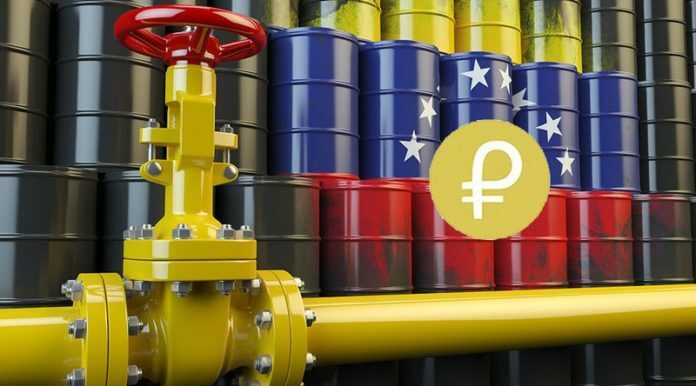 The petro was introduced through a pre-sale back in February of 2018 as a means to attract foreign capital to boost the Venezuelan economy and circumvent both EU and U.S. sanctions. It was designed to shore up an economy in shambles, as the bolivar has been struck with rampant hyperinflation over the past year. From the very beginning, the currency aroused controversy both in and out of Venezuela. Many in the National Assembly publicly claimed that the currency was potentially illegal and that its white paper lacked sufficient details or offered unscrupulous arguments for its creation. Concerns further arose in the U.S., which led to President Trump’s subsequent petro-trading ban in March of 2018. Some arguments in favor of the cryptocurrency state that the petro makes paying taxes and settlements with state bodies less expensive and that the currency can be easily — and quickly — converted into USD. Regardless, cryptocurrency is often viewed as an economically liberating tool in the everyday Venezuelan’s struggle to survive. Bitcoin Magazine recently chronicled the struggles of a Venezuelan resident under the alias Hector, who received a donation of roughly 0.5 nano. Though worth less than $2 in USD, the funds were the beginning of what would become a growing account for Hector, who later garnered approximately $950 worth of the cryptocurrency. He is now able to provide his family with food and other supplies once thought unobtainable on a regular basis. Venezuela’s national currency, the bolivar, ranks high on the “worthless” meter as of late. Maduro believes the new salary system will stabilize wages and offer consumers stronger buying power, which could bear positive repercussions on the country’s ailing economy. “By 2020, the nation will be able to recover economic and social stability and prosperity,” he announces. “We are building a new revolutionary and humanist economic thought with a new strategic economy for a new economic model. On August 20, a new era will begin. In real time, Venezuelans will know the price of the sovereign bolivar and the petro, made public by the central bank. Also, detailed explanations of the salary system and the prices based on the petro will be forthcoming on August 20. Speculation has ended!” he stated in a speech announcing the cryptocurrency.